On the SSRF shop, scores of spiritual books are available in 4 languages to help a seeker in his spiritual journey. Our readers have commented on how they have benefited by these books in their spiritual journeys and that they have provided them with a clear direction in spiritual practice. 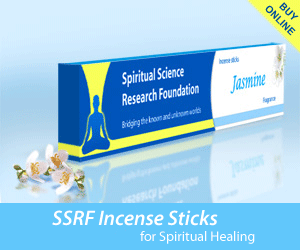 A specialty of the books available on the SSRF shop is that they contain Divine Knowledge that is received through a advanced level of sixth sense that is not available anywhere else in the world. They are written in a manner that is easy to understand and the points regarding spiritual practice in them can be put into practice readily. While all of our books are full of unique information on their respective subjects, over the years, some of these books have been especially popular with our readers. We are publishing this blog for your information to let you know about which books are the top 5 bestsellers on SSRF in 2018 so you can also benefit from them. They are given below with some information about each book. Spiritual Practice for Ego Removal – This book explains what ego is, how it is an obstacle to spiritual growth and what efforts can be practically taken to overcome it. If you break down spiritual practice to its most simple meaning, it is to reduce the ego and to merge with the Divine. This is a foundational book to read for any seeker on any spiritual path as it provides the basis for rapid spiritual growth. Spirituality for obtaining Bliss – We are all familiar with happiness and we spend out entire lives chasing this elusive feeling. However, what most people do not know is that there is a state that is even beyond happiness and it is known as Bliss. This book shares aspects of how to attain this superlative form of happiness that we all seek knowingly or unknowingly. Importance and Benefits of Chanting – If there is one spiritual practice you can start this very moment, which is powerful, effective and is a catalyst for spiritual growth, it is chanting the Name of God. This simple spiritual practice has been guided by Sages as preferred form of spiritual practice in the current Era. This book provides simple and practical steps on how to chant. Importance of the Guru – Imagine if there were no teachers in school and what our lives would be like. Every teacher has to be an expert in that subject to be able to teach it. So also, the Guru is the spiritual teacher and is a person who has walked the path of Spirituality. For a student of Spirituality who wants to realize the ultimate, the Guru becomes the central focus as he guides the student through obstacles and takes him to God. Importance of Shraddha & its Underlying Science – Most people do not know that after our ancestors pass on, they continue to affect our lives. There are a number of reasons for this, but more importantly, everyone who is reading this sentence is affected to a lesser or greater extent at some point in their lives. The Shraddha ritual is a powerful way to provide spiritual energy to our departed ancestors and also protect us from any harmful effects that can be caused due to ancestors from the afterlife.